IKB Travel - News - IKB Travel meet the team - photoshoot at the IKB office. IKB Travel have eagerly awaited a group photoshoot which allows our customers to finally find out what our staff members look like. Keep posted for more photos on the way!! The IKB team getting ready for another busy day of Iraqi Airways sales! 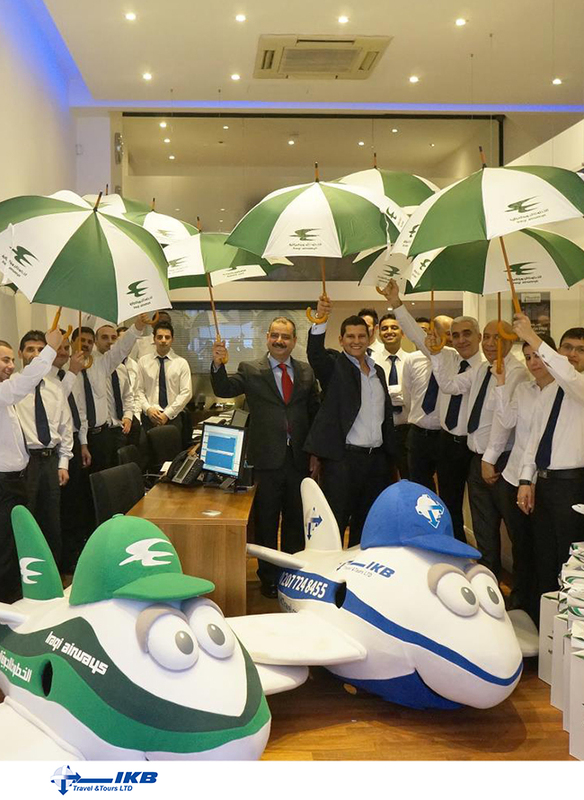 IKB getting ready for the London rain, but we are sure our Iraqi Airways Umbrellas will protect us!!! 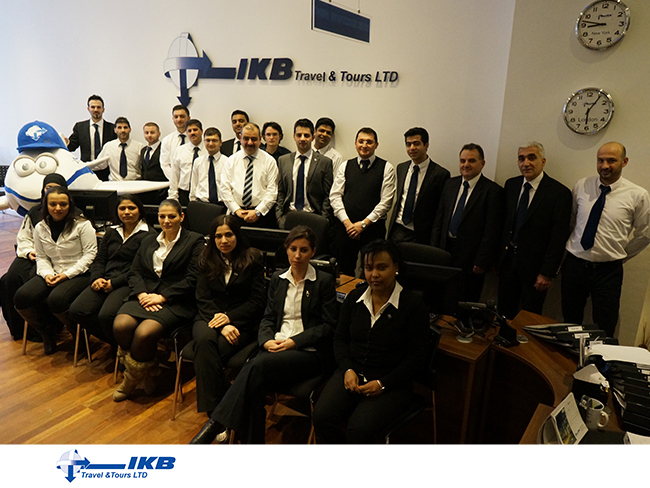 Group shot of all our wonderful staff at the IKB Travel office. 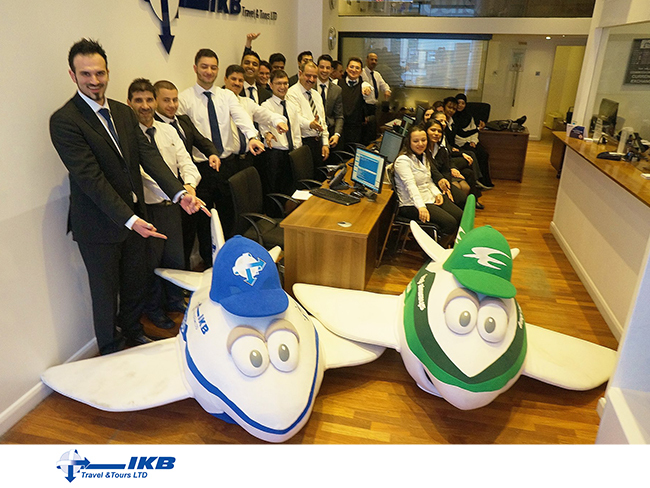 IKB & Iraqi Airways Mascots make everyone smile! IKB Here to make you smile with our service!! !